This is not easy when there is wind/tide. It looked to me that the boat had to slow own (to avoid damage) to the point that it would lose forward momentum and slide right (from the POV of looking at the photo) and miss the trailer. Shore length1	45 miles (72 km)"
Olympus E-M1 MarkII,Olympus M.ZUIKO ED 40-150mm f/2.8 PRO ,Best at Original size. Looks like a cold day too, Frank. Fine image. I like this perspective. 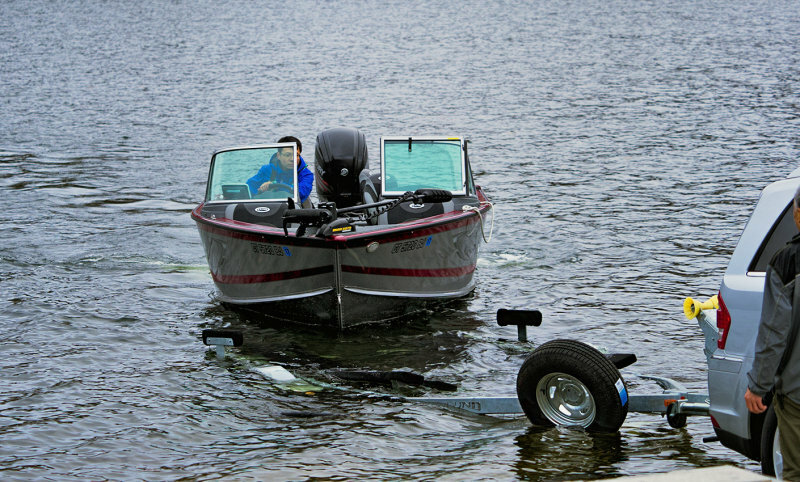 It emphasizes the difficulty in getting the boat on to the trailer. Very nice detail. "V"